We have a nice selection of surfboards to pick from. For beginners, we have soft surfboards that range from 6 ft 10 ft long. They are safe, buoyant, stable, and catch waves easily. 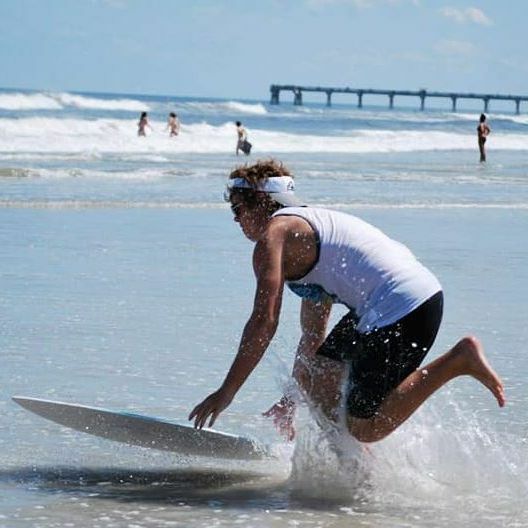 For experienced surfers, we have epoxy surfboards ranging from 6 ft to 9 1 / 2 long. We recommend wearing a rash guard. If you don't have one we rent them for $3. We offer a free 5 minute tutorial with every board rental. You can call ahead of time to find out the best time to surf. Surfboards are $15 the 1st hour $5 for additional hours or $30 all day.